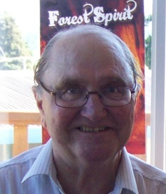 David Laing’s novels, Forest Spirit, Forest Shadows and Forest Secrets, are drawn from his experiences gained teaching Aboriginal children and building relationships with their parents and the community. Based on these experiences, he has created a young Aboriginal girl who finds herself involved in a series of exciting Tasmanian adventures. A Tumble in Time, contributing author. A voluntary fundraising exercise requested by Franklin House, Launceston. Tasmania.